I used to be a huge Charlaine Harris fan. Her books have always been so comfortable to me. Our ideal relationship has reached a rocky patch now, after some not-so-great reads. Like many other people, I’m developing a love/hate relationship with Ms Harris, and the Sookie Stackhouse series in particular. Merlotte’s is firebombed, and Sookie has no idea who’s behind it. All she knows is that it was a supernatural – probably a were or shifter of some kind. While trying to stay alive, she also has to juggle her relationship with Eric, and finds out more about her heritage. When you lay out the plot like that, it looks better than it actually was. Plotting isn’t the strongest point of the Sookie series, but the plot in Dead Reckoning was especially skimpy. There was no central conflict, just a few things that happened to Sookie. She takes the hits, then goes on to angst and paint her toenails. 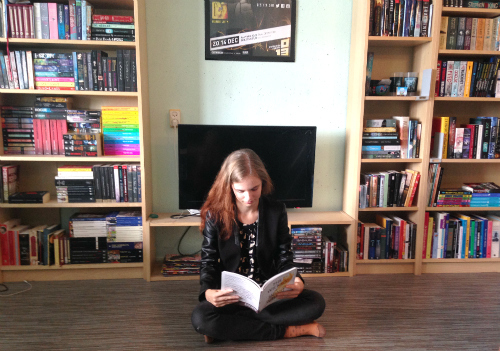 What has drawn in thousands of readers of the Sookie books are the lovely characters. 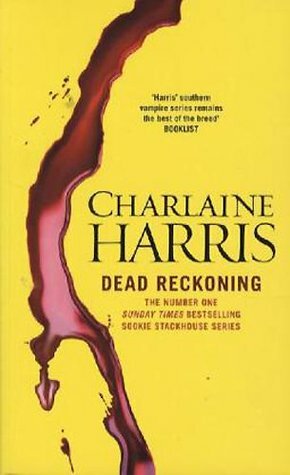 Sookie the spunky girl-next-door with a special ability, vampire Bill the mysterious but sweet guy, Eric the cool vampire viking, Pam the cold but hilarious second in command… But in Dead Reckoning, all of the characters have lost their sparkle. Sookie is dead tired with being killed and all the vampire drama. Bill barely gets any page time, but when he does, he’s just weird. Eric, who was such an amazing character at the start of the series, is just brooding and lame now. Even sarcastic Pam seems to have lost her appetite for being bitchy and awesome. There have been rumours about how Ms Harris didn’t really feel like writing the last few books, and it shows. There is no love, no passion in her writing for these characters we’ve come to adore. About halfway through the book finally gains some speed, and the finale was decent. It just makes me sad where this story is going. I wish Ms Harris had wrapped up the series in ten books, instead of this weird extension that no one seems to enjoy.